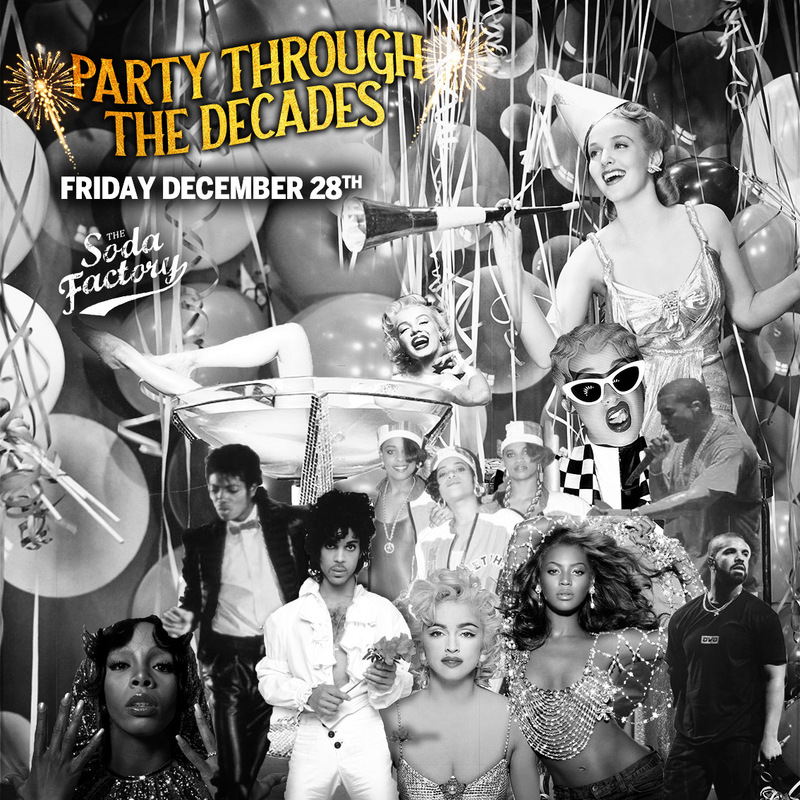 Who’s ready to shake it through the decades as we get ready for the New Year?! Save the date for Friday, December 28th and get ready for a night to remember! Dance into the weekend with us in true Soda style- with a very, very late night full of DJ’s mixing EPIC Tunes, Party Vibes, Saucy Eats & Cocktail Galore.